Harnessing the power of high intensity-focused ultrasound waves, Ultherapy® is the only FDA-cleared, non-invasive lifting procedure that penetrates to the deepest layers of skin, reducing lines and wrinkles by bolstering internal structures and natural collagen. 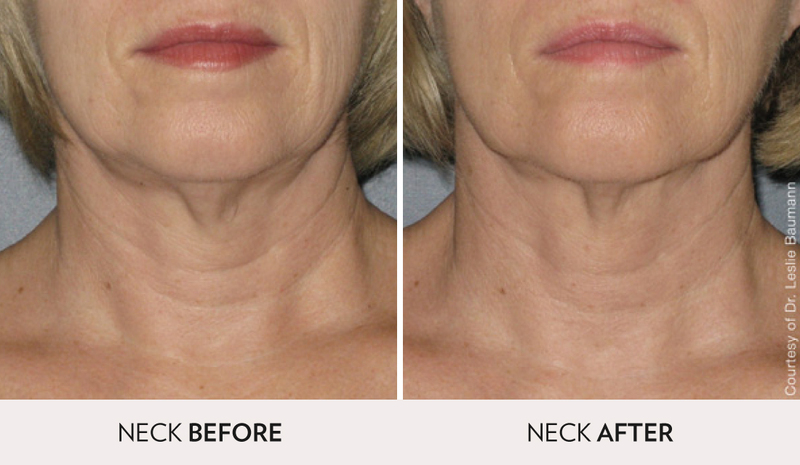 The treatment is hailed for creating similar results as a surgical facelift but without the risk and downtime—lifting and tightening the neck, chin, brow, jowls, and décolleté. 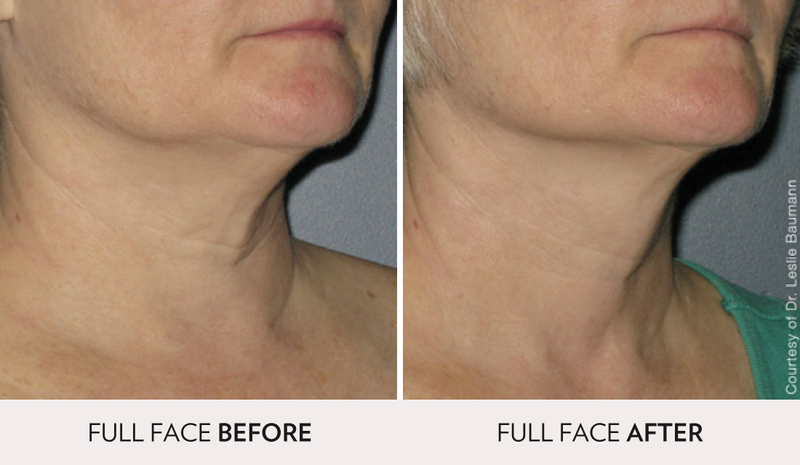 Though, many of the Spa Radiance Medical patients opt to have Ultherapy® done on their entire face and neck in one session. Our nurses at Spa Radiance Medical suggest one Ultherapy® treatment per 12-18 months and complementing SkinTyte™ sessions for maintenance. The Ulthera® System delivers a low amount of focused ultrasound energy to the skin. 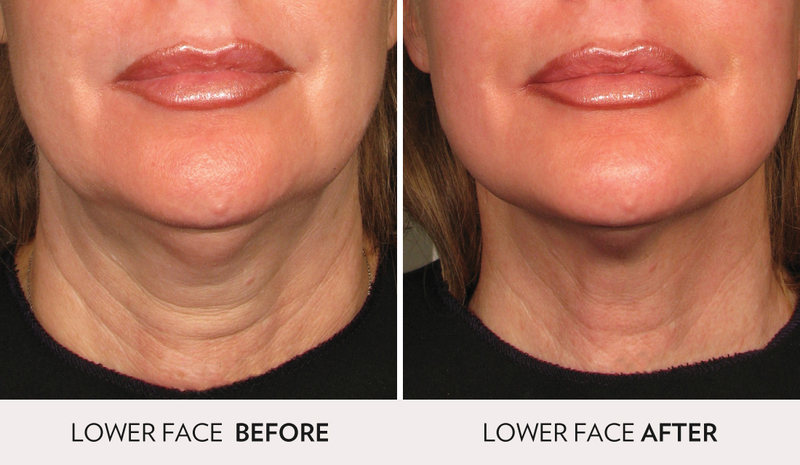 The heat from the ultrasound stimulates new collagen to form. There can be discomfort during the treatment when the ultrasound is being delivered. Discuss with practitioner the options available to optimize comfort during the procedure. Arrive 30 mins prior to appointment to apply numbing cream as well as taking pain medication 1 hour prior to treatment. Avoid Retin-A, retinoids, exfoliating products and bleaching creams for 3 days prior treatment. Avoid tanning or prolonged sun exposure 2 weeks before and 2 weeks after treatment. Immediately following Ultherapy®, the skin may appear red for a few hours. It is not uncommon to experience slight swelling for a few days following the procedure or tingling/tenderness to the touch for days to weeks following the procedure, but these are mild and temporary in nature. Occasional temporary effects may include bruising or welts, which resolve in hours to days, or numbness in a select area, which resolves in days to weeks. 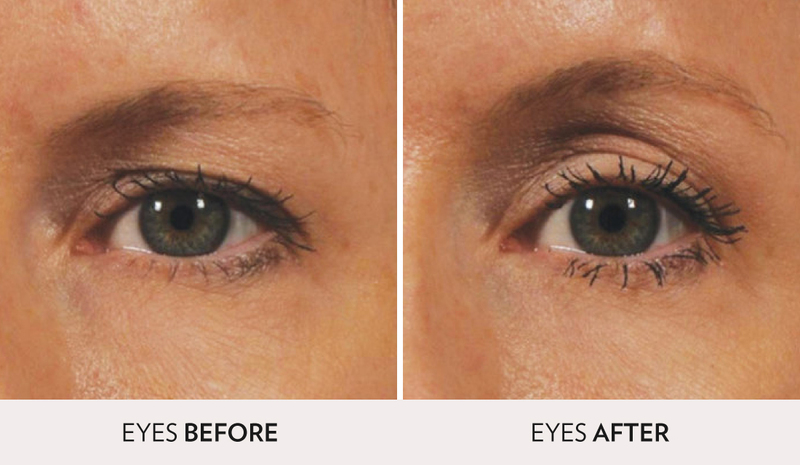 After your Ultherapy® Treatment, you may see some initial effect within the first few weeks; however but the ultimate results will take place over 2-3 months. 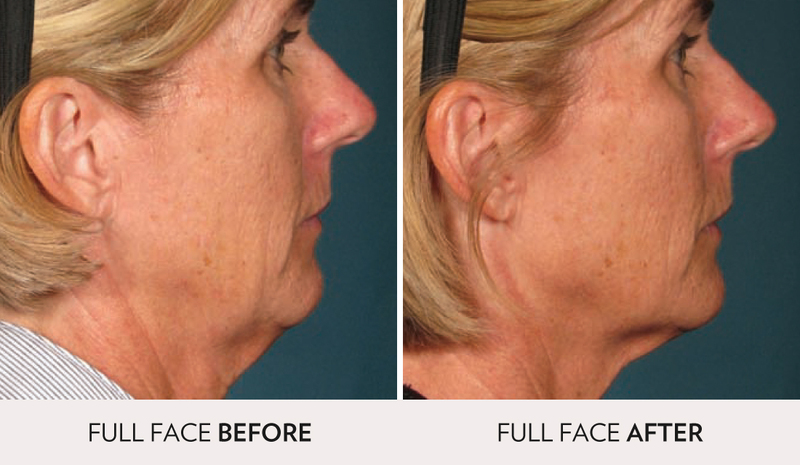 Since the procedure stimulates your own collagen production, results vary from patient to patient. You may consider coming for a follow up 1 month post-treatment to evaluate results. 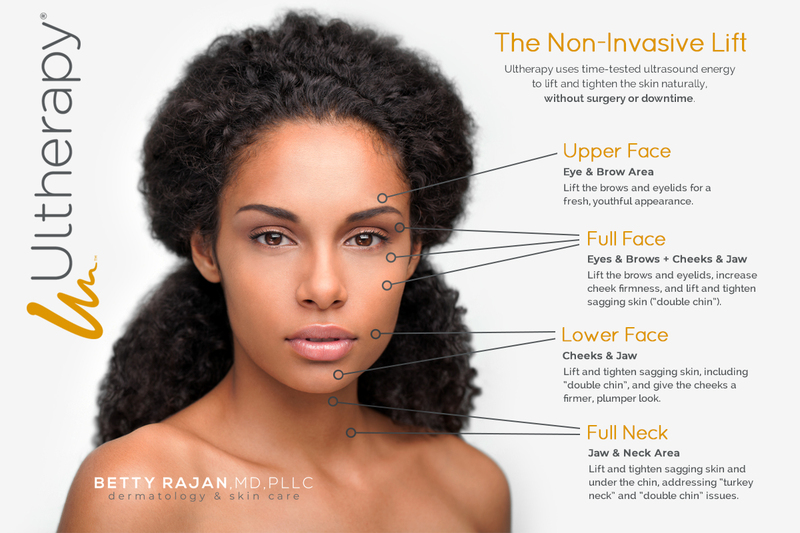 Ultherapy® is a great alternative for those not ready for surgery or for patients looking to extend the effects of cosmetic surgery. 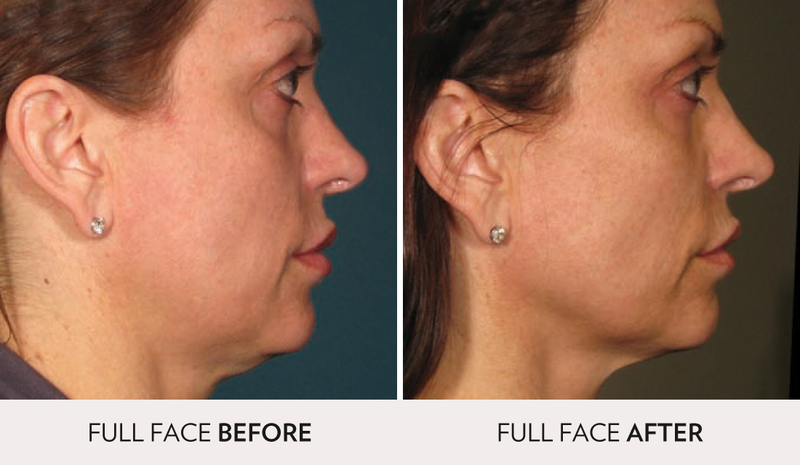 Ultherapy is excellent for patients who want a significant lift to the face without the extensive downtime of cosmetic facial surgery. Ultherapy uses sound energy – tried-and-true ultrasound – which has unique properties that allow it to bypass the surface of the skin to treat depths not matched by any other non-invasive cosmetic device. Ultherapy® ultrasound stimulates collagen production in the skin’s foundation, resulting in a clinically significant lift of tissue over 2-3 months. Lasers rely on light energy, which cannot reach deeper skin layers at an optimal temperature, so laser treatments typically only treat superficial skin and are not FDA-cleared to lift skin. Since the two technologies often treat different types of skin issues, they’re actually very compatible. There is little to no downtime. After your procedure, you can resume your regular activities immediately, without having to follow any special post-treatment measures. Comfort levels vary from person to person, but the sensation only lasts while the ultrasound energy is being delivered. We will offer to prescribe oral pain medicine that may be taken prior to the treatment; additionally, we will apply a topical anesthetic. Because we are dedicated to your comfort, Pro Nox Medical Nitrous Oxide is now available to alleviate any discomfort or anxiety that may occur.